When selecting a Lodge or Log Cabin we have a variety of manufactures that we recommend who are able to offer both Bespoke and Standard Models. This enables you to select the Lodge that best suits your needs, for example, the number of bedrooms, the kitchen layout and also the interior design. When you visit the Park we will show you our available pitches. Once you have chosen, your journey to owning your own Lodge begins. We will offer a clear and comprehensive Cost Package and are able to provide financing and funding options. With the initial deposit your order is then secured and you can look forward to the arrival of your new lodge. Insurance – We are able to offer a comprehensive quote on the structure and contents of your Lodge through our own broker. Electricity – This is supplied by the Park and is individually metered and invoiced twice a year. Gas – This is currently supplied by the bottle and purchased at reception. 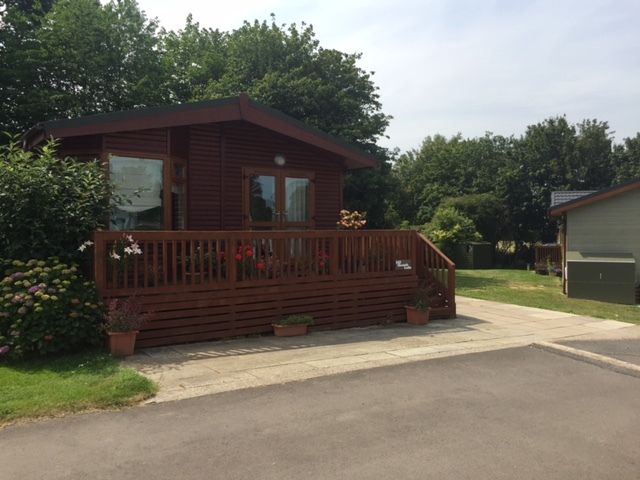 In having a Lodge at Merley House Holiday Park you can enjoy the benefit of being offered a minimum 30 year license agreement as drawn up by the British Holiday and Home Parks Association, of which we are members. Longer licenses are negotiable with the Park. Please contact us for further details. Lodges are given an 11 month from March – February. To request a brochure please click here and fill out the form. Thank You.